Secluded woodland shepherds hut in Kent on a family farm in an AONB on the edge of the historic village of Elham. Secluded valley shepherds hut glamping in Kent on a family farm in an AONB on the edge of the historic village of Elham. Escape to beautiful shepherds huts in Kent hidden on a family farm in an AONB. Our shepherds huts have been beautifully built by The Shepherds Hut Company. Glamping in Kent. Just stay put and relax. Families should be able to holiday in school holidays at no extra cost so our prices are simply in two seasons: winter/summer. Having two dogs of our own, dogs are welcome. Dog fees £20 for one dog, £25 for two and a £50 refundable bond for the valley hut or alternatively BYO bed linen and £10 dog fee. At the end of the tax year doggies who have looked after the hut donate half of their fee to AA Dog Rescue. No dogs on the beds, bring dog towels and bio poo bags. Woodland bell tent can only be booked with Woodland Hut. There is a separate composting toilet but 1 shower which is in the hut. The tent sleeps 2 adults and 2 kids. First 2 kids are free (up to age 12) whether in hut or tent. DOGS £20 or £25 for two. If booking Valley Hut there is an additional fully refundable bond of £50 or bring your own bed covers. Please see notes below. Both huts are heated by a wood burner, have hot running water and an ensuite with shower and composting toilet. For cooking there is the gas hob and cooker with grill. There is also a fridge. The huts run from 12v solar power. There are 12v sockets for charges. Our 2 shepherds huts have been beautifully built by The Shepherds Hut Company in Devon. They have hand built bespoke kitchenettes, composting toilet and good size shower. Hot water, hob and oven run by gas. LED lights and fridge run by solar power. There is a cosy wood burner to keep you warm. All wood supplied. The shepherds huts are set in stunning locations. One in a 10 acre private woodland and the other on the valley hillside with beautiful views. Our huts are aimed at people who want a wild tranquil escape. They are 1/2km away from the nearest road and dwelling. The woodland shepherds hut is set in a sunny glade with mature oak trees. During the spring, anemones, orchids, primroses, bluebells carpet the woodland floor. The woodland hut sleeps 2 adults and 2 young children. The valley shepherds hut is set in calcareous grassland which hosts wild flowers such as egg and bacon, orchids, bluebells and cowslips. Also during May the wild broom flowers a beautiful yellow. The valley hut sleeps only a couple and baby or toddler in your own travel cot. You can relax take in the views and listen to the skylarks and buzzards above. Doggies are very welcome and will enjoy the fabulous walkies here. 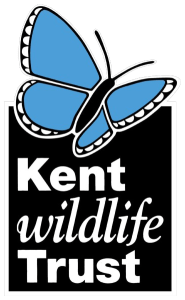 The Huts will be funding an Enhancement Scheme set up by the Kent Wildlife Trust so that we can improve biodiversity. We will supply half a litre of milk from local dairy or the option of an alternative milk. Various teas and filter coffee, muesli, cornflakes and packets of porridge also included. You have the option to order various breakfast hampers. Please see tab “About” for details. We can also supply a choice of BBQ meat packs. All meat sourced is local and free range. Clavertye Shepherds Huts are situated on a family run arable farm on the outskirts of the historic village of Elham, an area of outstanding natural beauty. Find peace and quiet just 45 minutes from the M25, 15 minutes from the Eurotunnel terminal and less than half an hour from Dover ferry terminal at our shepherds huts in Kent. HELPER for huts wanted for the summer! if you have your own camper etc that'll be good. Otherwise we have a bell tent which i'd set up with a woodburner for the season. Some work in exchange for living here and then a bit of money on top. This will not be a solid wage as there can be quieter times in the weekdays. So ideally it would work for a couple where one has a full time job and the other happy to help out here.